While some people find repetitious workouts boring, others like doing predictable routines at regular locations. Ensuring that our fitness regimen jives with our “fitness personality” is integral to making exercise a consistent part of our lifestyle, a concept that has traction among exercise experts. Jonathan Niednagel, founder and director of The Brain Type Institute, in Mountain Home, Arkansas, and an athletic consultant for professional teams, explains in his book, Your Key to Sports Success, that understanding our inborn brain type can help us to determine which sport is best suited to motivate us. In Suzanne Brue’s book, The 8 Colors of Fitness, she applies principles from the Myers-Briggs personality inventory to help readers develop a personalized exercise program. 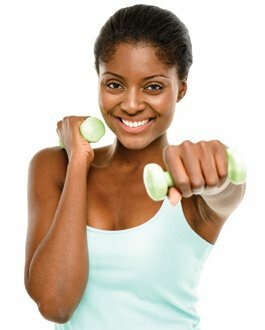 Susan Davis-Ali, Ph.D., in St. Paul, Minnesota, a professional coach for working women, created a Fitness Interest Profile survey for the Life Time Fitness health club chain. She points to research that suggests people that engage in activities appropriate for their personalities enjoy their workouts more and are likely to stay with them longer. Identifying our fitness personality can help us find a program that suits our rhythms and interests. Based on composites from growing research, here are six categories that assess and capture the way we may feel about exercise; more than one can apply to any individual. Disciplined and driven. This is an image to which many of us may aspire, even though not everyone fits the mold. These exercisers are self-motivated and goal-oriented. Commitment and consistency go hand-in-hand. They like to use devices to track progress, maintain a training log and/or work with a personal trainer in systematic workouts geared to measure improvement. Disciplined types are often early risers; starting the day with regular exercise is second nature. Compatible fitness regimens include cardio workouts, interval and weight training, running, swimming and martial arts. Relishes routine. While these folks are disciplined and driven in some ways, they tend to be more relaxed about regimens. The key to success here is consistency. They like order and familiarity in exercise settings and practice and may enjoy reading or watching a screen during workouts. Whatever the preferred approach, whether it’s a favorite training video, Wii Fit video game, favorite teacher or memorized Pilates moves, these exercisers like to stick with it, even working out at the same time every day—often first thing in the morning or after work—finding that regularity can be habit-forming. Conscious contemplative. Reflective individuals enjoy quiet, solo activities like long-distance running, biking, hiking and swimming, that allow opportunities to look inward, often without thinking too much about the physical details. Exercise offers a chance to clear the mind and renew the spirit while strengthening the body. These types naturally gravitate to outdoor pursuits, but some indoor practices may also suit them, like yoga, Pilates, tai chi or even karate, which incorporate a strong mind-body component. Workouts are often soothing, rather than intense. Plays well with others. For many people, exercise is best enjoyed with others, combining the social and fitness benefits of both. Connections and camaraderie get them off the couch, revved up and ready to go. Whether it’s a committed group of friends chatting during water aerobics or a high-powered cardio class that compares notes, motivation comes primarily from the presence—and accountability factor—of others. A lunch-hour class at a nearby studio or gym may be a fun break in the workday. On weekends, consider golf, tennis, dance or a local recreation team. Compulsive competitor. While the communal aspect is appealing, the greater gratification for this type comes through the thrill and challenge of competition. Trying to win is the great motivator, unlike driven and disciplined types that are happy to push through to their personal best. Team sports are a natural outlet, including soccer, rugby, lacrosse, basketball or swimming, plus disc golf, tennis or racquetball matches and running events. Avid for adventure. It’s tough for any formal exercise program to keep the attention of adventurers. They crave freshness and spontaneity in fitness venues, activities that engage their interest and animate enthusiasm. It’s crucial for adventurous types to mix things up and not rely on any one exercise practice. Outdoor endeavors such as snowshoeing or cross-country skiing, inline skating or mountain biking have appeal. They may gravitate to the variables of Nia, Zumba’s high-energy Latin dance groove, kickboxing, exercise balls or hot yoga. A midday exercise escape can break the work routine. Their key to keeping active is to keep things stimulating. Wendy Worrall Redal blogs at Gaiam Life (Life.Gaiam.com), from which this was adapted.